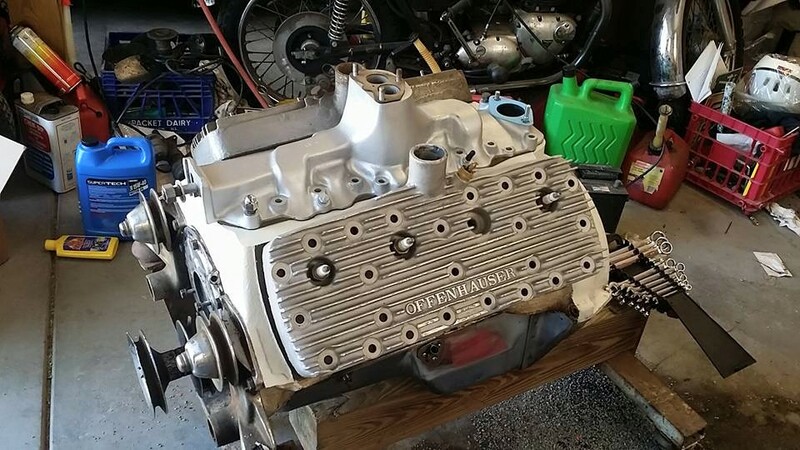 This week, my wife and daughters have been out of town, so I have been scrambling trying to get everything ready to fire up the “Forgotten Flathead”. I wound up rounding up the gaskets that I needed, and squirted some new Krylon Ivory paint on the top half of the block. Still need to clean up both sides and give them a new coat of paint, too. I also took a little bit of time and used some WD40 and aluminum foil, and cleaned the rust off of one side of the oil pan. Saturday was the planned “start up day”, and that meant borrowing the carb and fuel pump off of the motor in the ’40 stake truck, as well as the starter solenoid and some other various goodies. By 5pm, it was go time. Unfortunately, I found that I had trusted the previous owner’s spark plug choice, and they were wrong. The valves were hitting the electrodes of the spark plugs! Disregard the mess in the garage. I admit that I am a garage slob, but tonight I have to go clean stuff up because momma comes home tomorrow! 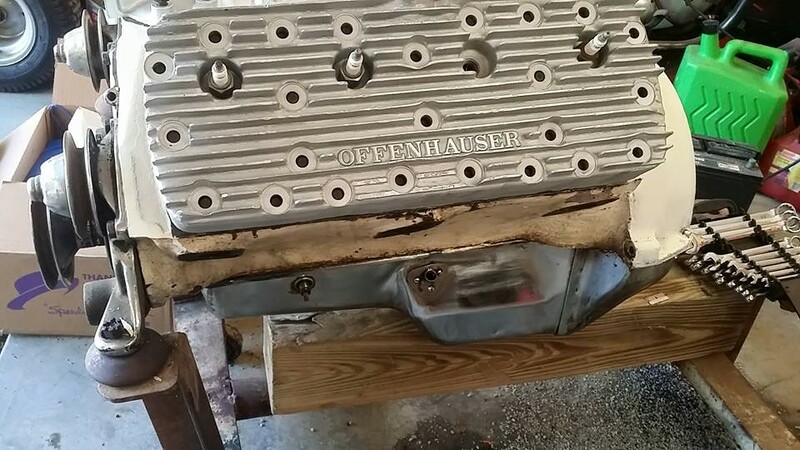 The plan is that this motor, after some more test runs, will wind up going into the ’40 Stake truck, potentially this winter.